Want to have a go at writing your own wedding envelopes with calligraphy or perhaps you want to work on your penmanship skills? Angelo Meola has devised his own calligraphy kit, a dip pen holder, 2 pointed nibs, some black ink and a calligraphy guide to get you started. As the old saying goes, 'a good craftsman never blames his tools'. Well in calligraphy it is vital you have the right nib, ink and paper combination. I have seen countless beginners struggle to get started through no fault of there own. The black ink supplied is highly recommended and is Angelo's go to ink which allows for a free flowing opaque finish. This ink will not clog up your nib, and in combination with the right paper you will have the perfect foundation to start practising calligraphy. 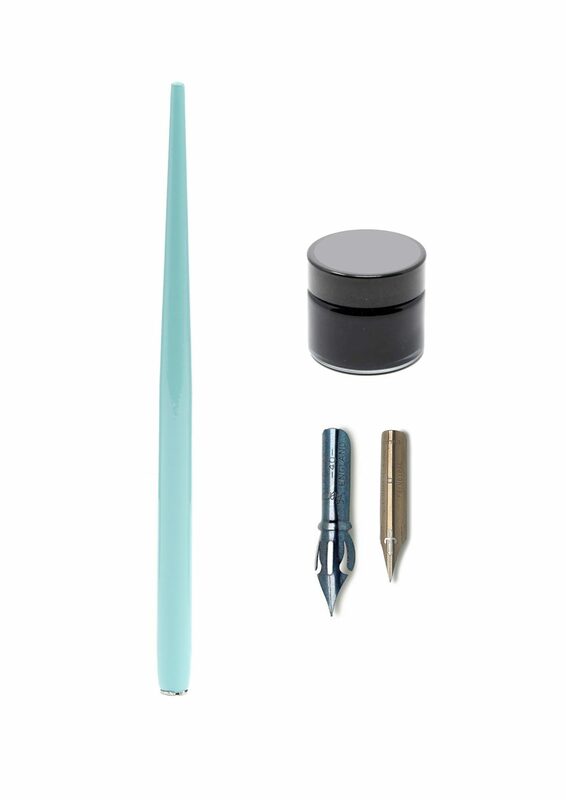 This calligraphy kit is ideal for both beginners and improvers. The pointed nibs supplied will allow you to begin learning copperplate and spencerian, as well as other scripts like modern calligraphy. 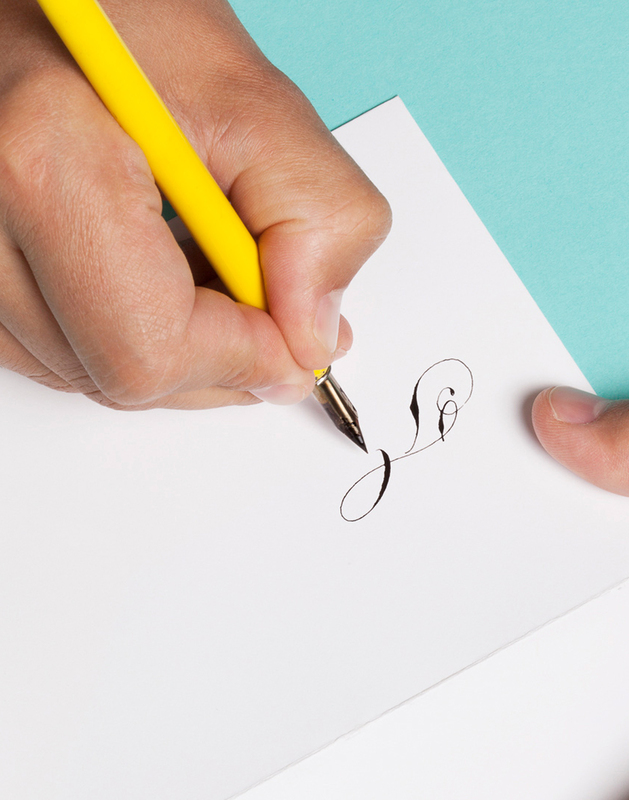 The Brause Shorthand nib is useful for larger scale text and allows for more expressive work, whilst the Leonardt EF Principal nib is more flexible and refined allowing for more delicate pieces. The nibs provide a good contrast between the possibilities. Most papers should work well with this calligraphy kit, however I do not recommend use of cartridge or recycled paper, as it is likely the ink will bleed. A recommended paper to use is the Rhodia Pads.